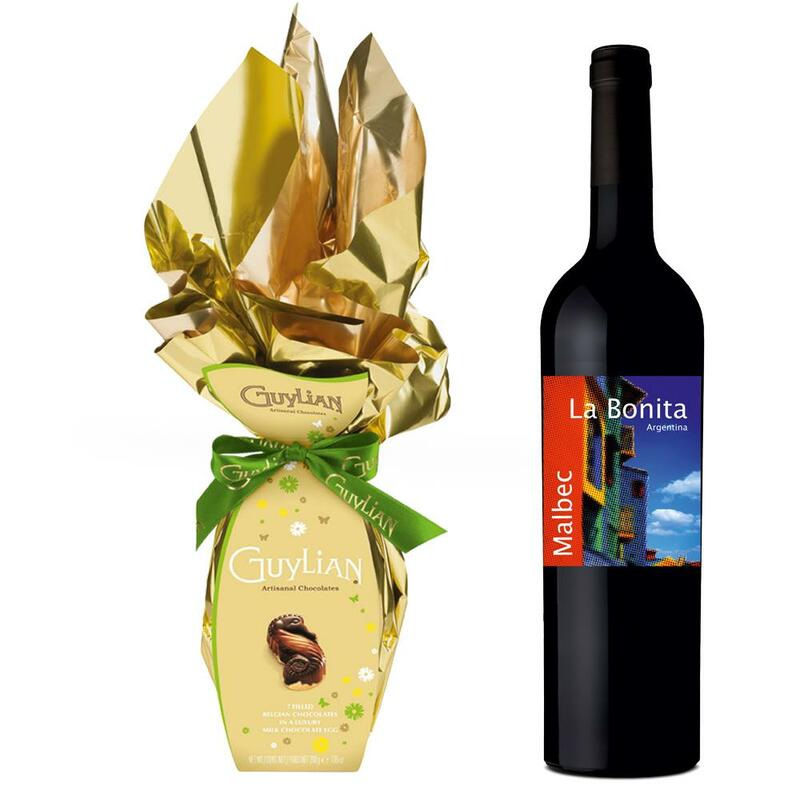 Buy this set with a full bottle of Easter La Bonita Malbec and it comes with a lovely Guylian Flame Egg with 6 chocolate Sea Horses 200g. La Bonita Malbec Mendoza Argentina, Medium bodied and fruity, Intense violet and red colour. Aromas of red fruits with delicate touches of wood. Soft on the palate, balanced with notes of plums and cherries.